We begin the interview by talking about their interest in esoteric studies and alternative spirituality. From there we learn about the origins of the Horus / Maat Lodge. Nema describes a group time-travel ritual in which she and others encountered a being from the future, named N’Aton. N’Aton is perceived as the idealized emerging consciousness of our species and its manifestation is the goal of the central ritual of the lodge. This event was closely followed by the transmission of “Liber Pennae Praenumbra” which announced the beginning of the Aeon of Maat in 1974. “In this Aeonic system, the Aeon of Horus began in 1904 with the writing of Liber AL vel Legis. The formula is that of the Crowned and Conquering Child, the Prince who ascends the throne upon the death (transformation) of the King, his father. The monument of the Osirian Aeon, the Military-Industrial Complex of East and West, has achieved its apotheosis in the nuclear arsenals that are capable of sterilizing the planet. It’s the mission of Horus to represent this existential ultimatum as the Lord of Force and Fire. “The necessity at the base of the formula is neither subsistence nor sovereignty: it is survival. The Child is the point of the Aeon: the continuation of the human race. The Law of the Aeon is Love under Will; the application of this Law destroys the poison remnants of Osiris while at the same time it places power and responsibility in the hands of the individual. “Running concurrently with the Aeon of Horus since 1974 is the Aeon of Maat. She is the Daughter, twin to Horus, and her formula is Truth and Balance. She complements Horus’ warrior nature with her measure and justice. She ensures the survival that Horus establishes by initiating a fundamental change in humanity: the awakening of the Racial Unconscious to Racial Consciousness. As Horus signifies the Atomic Age, Maat signifies the Information Age; her Word is IPSOS, “by the same mouth”. In the Double Aeon, food production has at the same time become more automated and more home-grown organic, as business or belief. Recombinant DNA research and cloning promises changes in this area. Aion then describes the impact of this magickal material and the journey to link up with Nema. From there we begin to discuss the transmission of knowledge from trans-dimensional intelligence, the evolution of humanity, the advance of technology, archetypal energies, the expansion of consciousness, and the future. 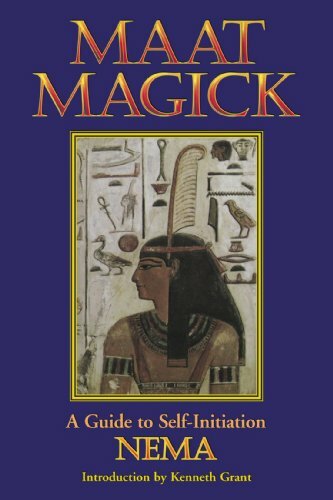 Nema explains some of the gematria employed in her book “Maat Magick: A Guide to Self Initiation” and its implications. 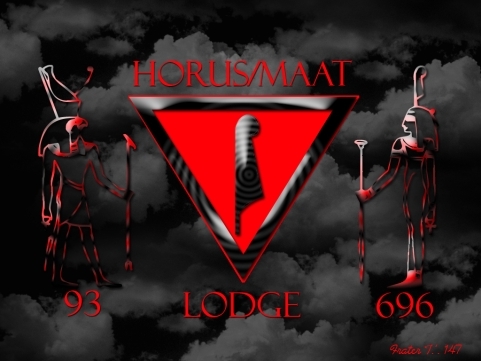 Nema and Aion talk about how Horus / Maat Lodge functions as an anti-authoritarian “cyberlodge“. We also discuss the concept and validity of self-initiation, the importance of daily spiritual practice, play and happiness, paying attention, and much, much more. Occult of Personality presents “Meditation and the Western Esoteric Tradition”, the second in a series, on Friday, November 20th at 8 PM. Please see the link for specific details. It was nice to head Nema and Aion speak and share their views, weave their magick, and contribute their energy to this wonderful group. Being a member of HML myself for the last few years, I’ve never met a nicer bunch of folk, down to Earth, also magickal and mystical. I feel the work is more than just about Self-initiation, which I love, but also about raising our collective energies in an independent fashion. Nema’s books are incredible. Hi Richard! 93s et Al- Im working on a book of the HML and stumbled on the show I did with Nema long ago on your website- First, thanks again for that and if you ever want to interview me again, especially on my book THE BOOK OF THE HORNED ONE, please let me know. Nema has passes but her work lives on thanks to adepts like you!